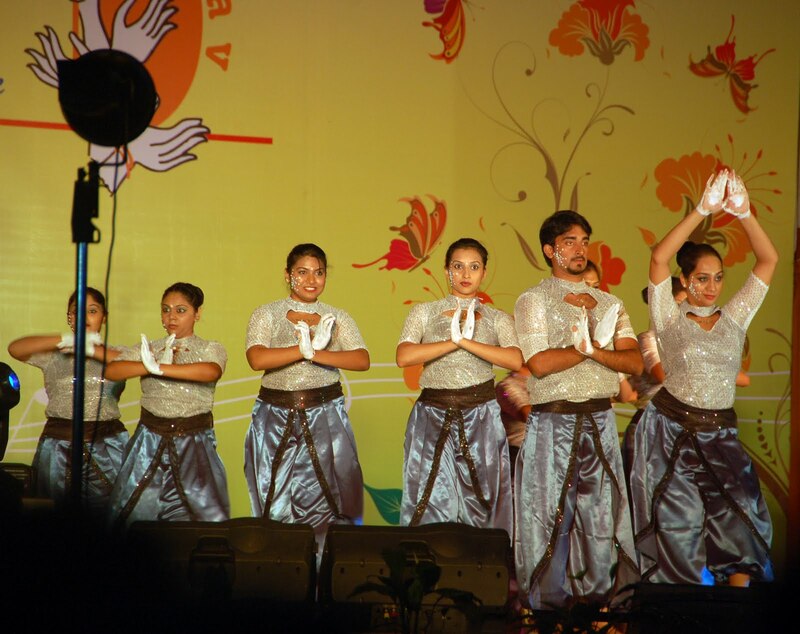 Few of the pics I got yesterday of the dances that I managed to watch. 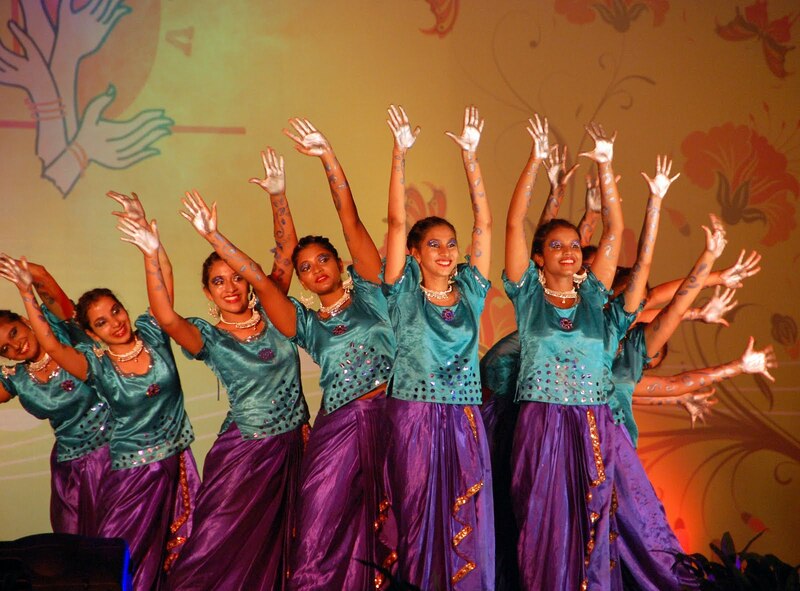 In the air! 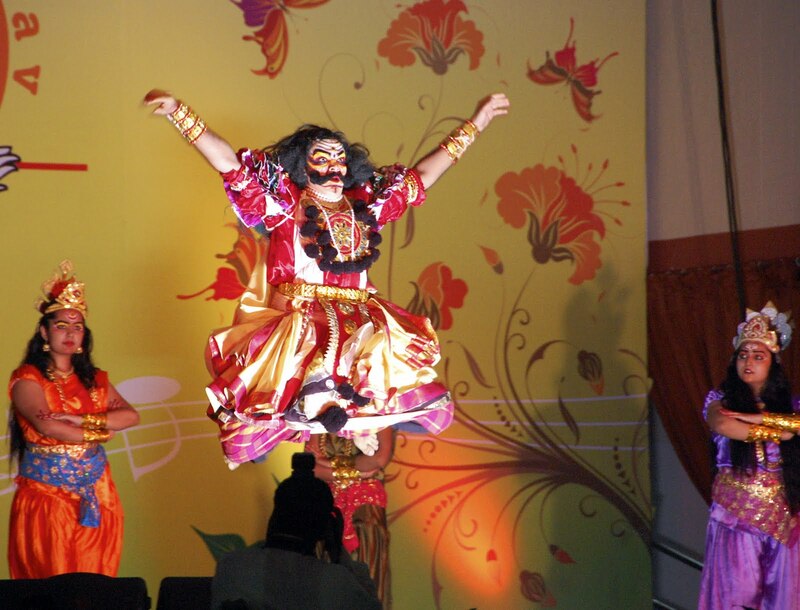 The local folk dance of Yakshagana (literally meaning stories of semi-divine beings) involves colorful costumes and stories from Hindu mythology! 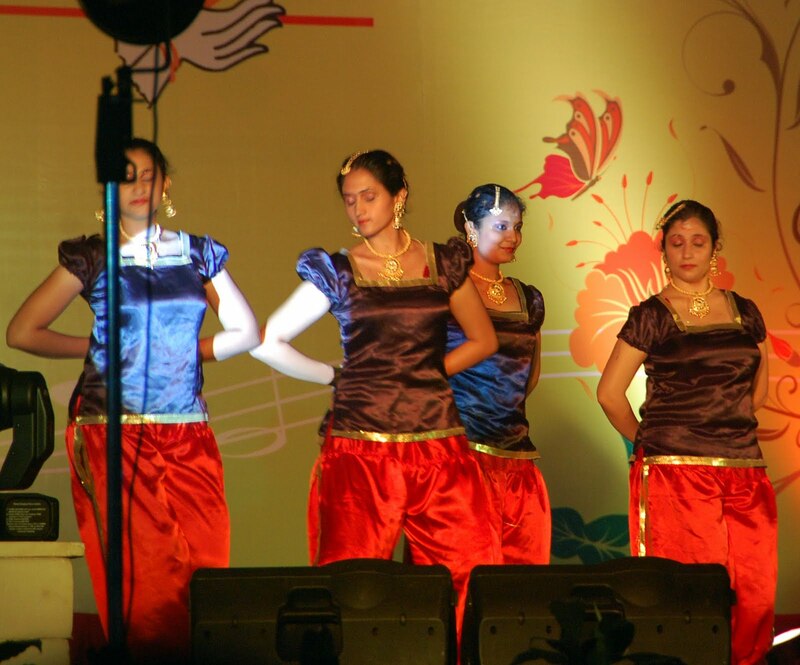 One of the dance groups performing a group dance at the Utsav 2011 event at KMC Greens, Manipal . 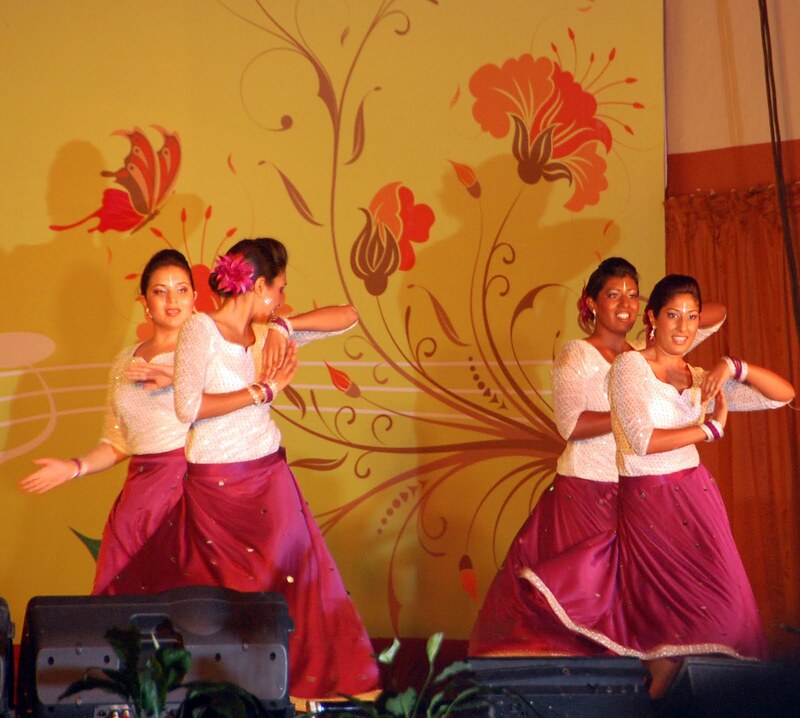 A Kathak performance by an all girl group from the Manipal University institution. 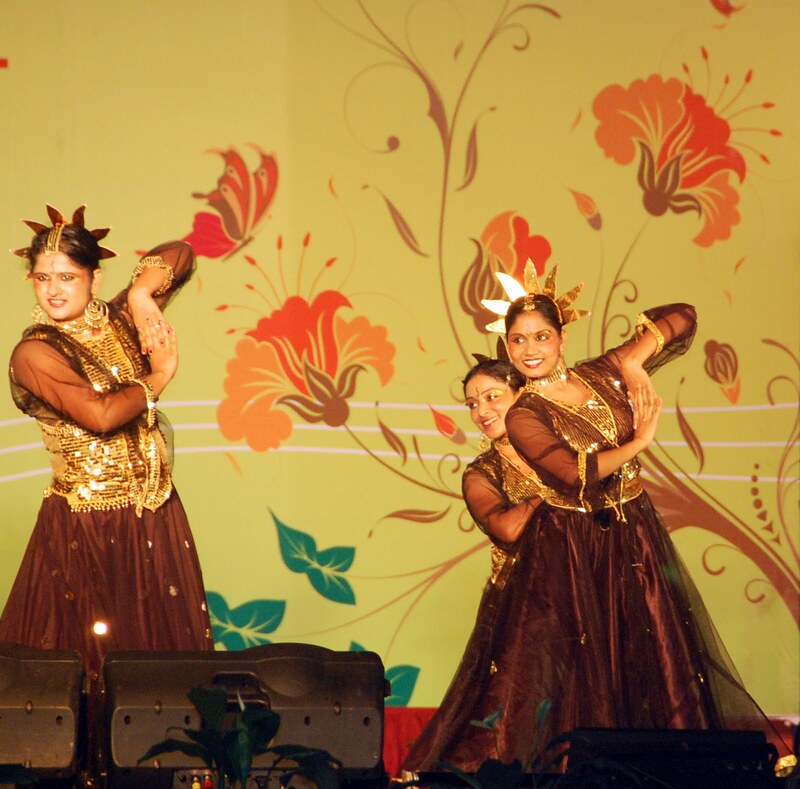 Utsav what? I love this one. She lost her balance and held on to her Dad’s head to stay upright! On top of the world! What better place to view the competitions than from on top of your Dad’s cranium? 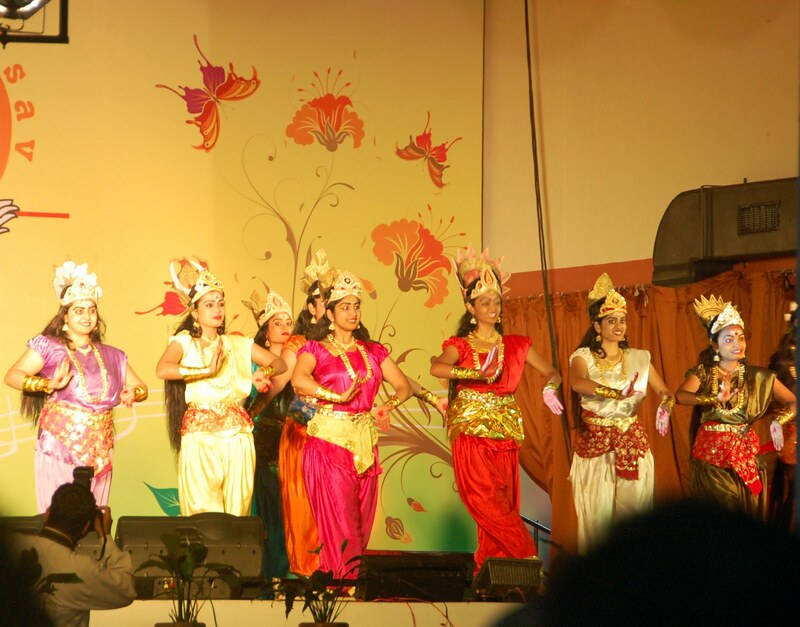 Wonderful colors, truly invoke the spirit of Utsav 2011. The rays of the sun or Divine providence?